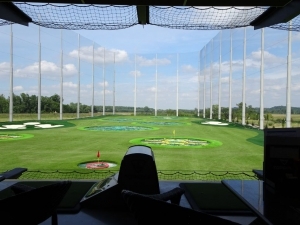 Commuters along Highway 40 are slowing to check on the progress of Topgolf, the open-air entertainment venue built by Chicago-based ARCO/Murray Design Build that’s driving toward an early August opening. 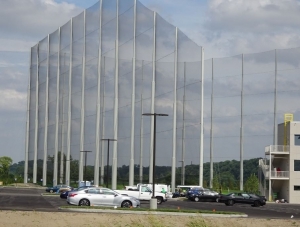 Before Highway 40 travelers notice the 65,000-square-foot building, the venue’s more than 100-foot-tall netting – specially designed to contain stray golf balls – captures their attention. Chesterfield City Administrator Mike Geisel said the development’s footprint in Chesterfield Valley (just off the Boone’s Crossing exit) is distinctive. Three levels of open-air, climate-controlled hitting bays – 34 on each level – welcome those who are at home with a driver in their hands as well as those who’ve never before made contact with a club. 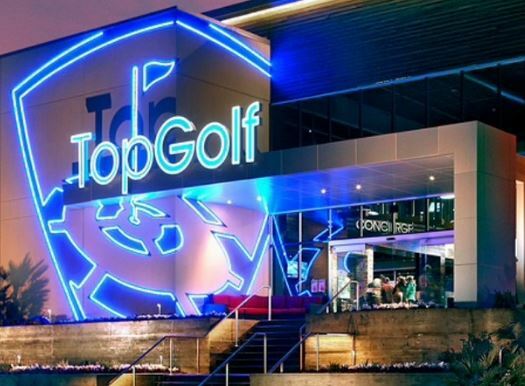 Topgolf Director of Operations Ben Wolski said the main level features a full-service bar and restaurant as well as event meeting spaces. 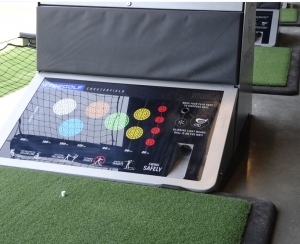 Family lounge areas, designated spaces for golf instruction and team practice areas are also included in the layout. 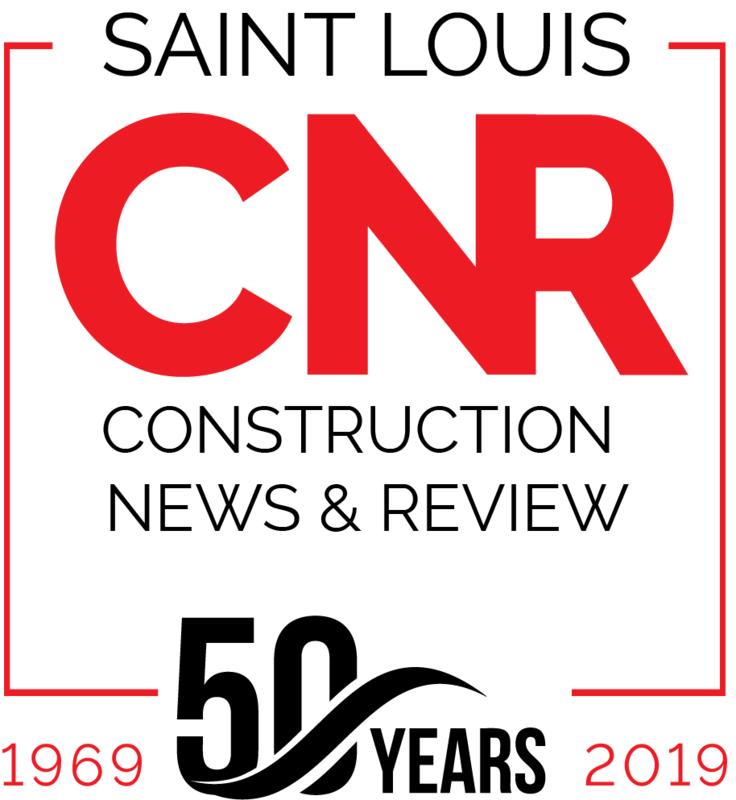 The venue will be open year-round except for Thanksgiving Day and Christmas Day. 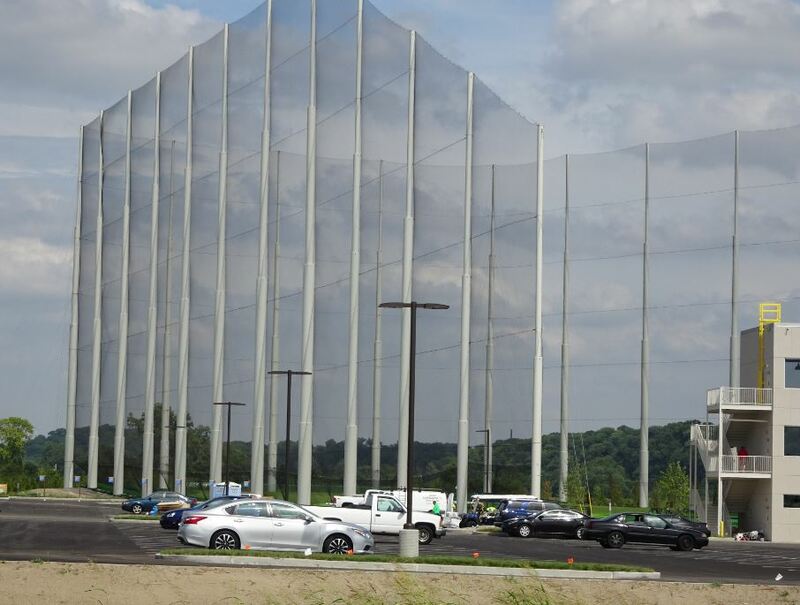 An enormous block entry wall framing the facility’s exterior proved a hefty but achievable challenge, Sheridan said, as did designing and installing the immense netting to keep all golf balls from leaving the premises, which is near a high-traffic highway corridor. The large-scale lighting fixture that’s affixed to the three-story façade is another identifiable characteristic. 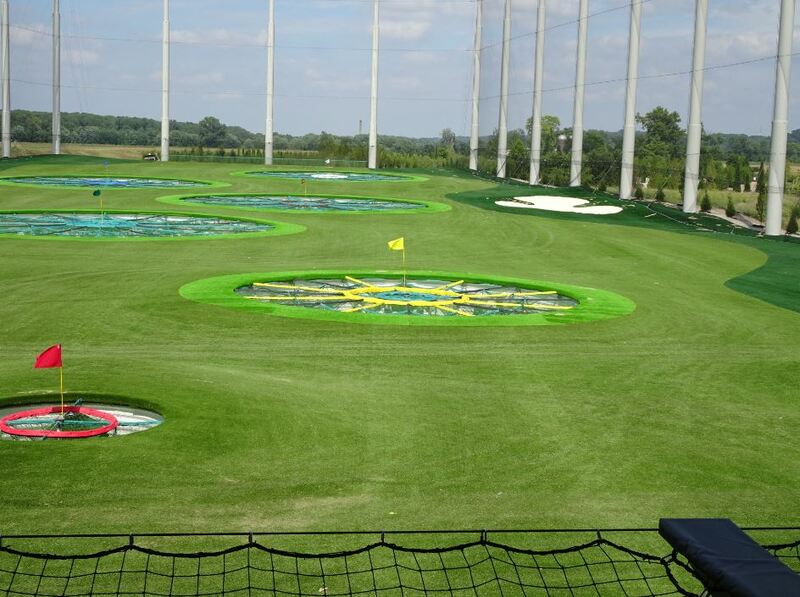 This is Dallas-based Topgolf’s 44th facility. 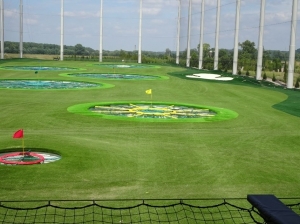 “We are really excited to bring Topgolf to St. Louis,” said Wolski. 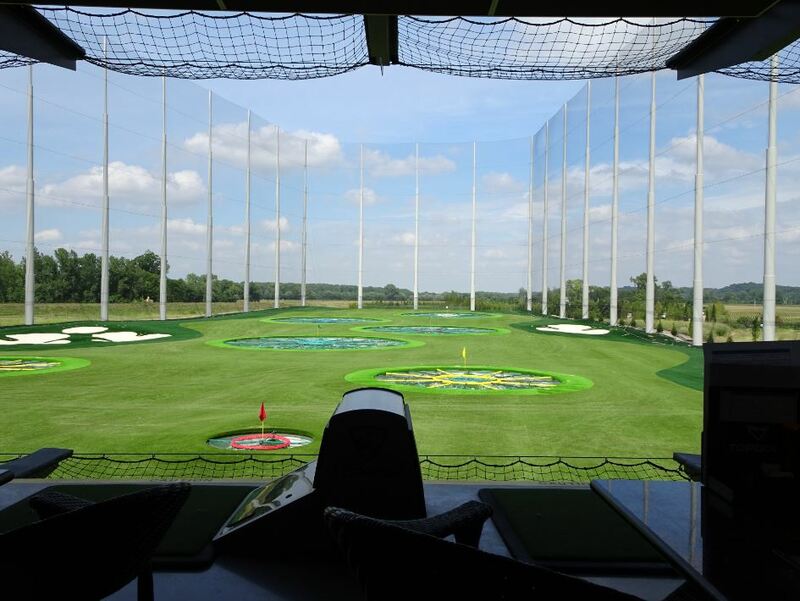 In conjunction with entertainment-related development in Chesterfield, three months ago Michael Staenberg, president of The Staenberg Group, bought the Taubman Prestige Outlets property just west of Topgolf St. Louis. Geisel said the city is looking forward to seeing Staenberg’s plans progress to develop the outlet mall site as an entertainment destination.